Update: (21st December 2018) As we now can clarify, Nokia 3, 5, 6 and 8 announced in 2017 will not become Android One devices. The statement made at MWC2018 meant that all future phones from the Nokia 3 and above series will be Android One Devices. 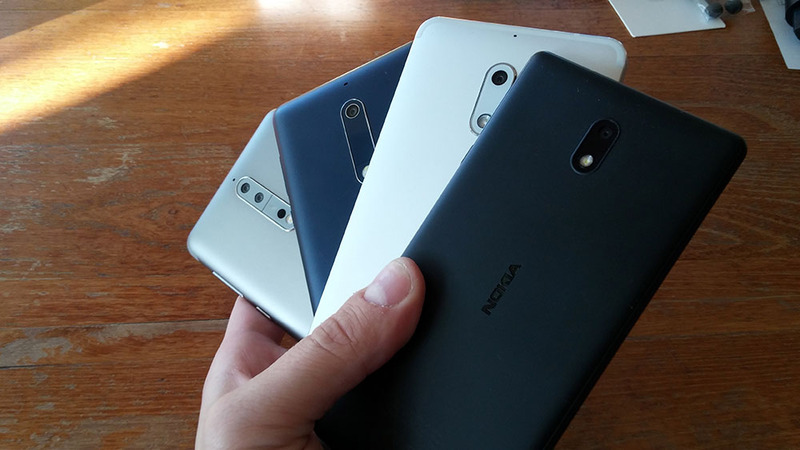 Nokia 3, 5, 6 and 8 are not and will not become Android One devices. 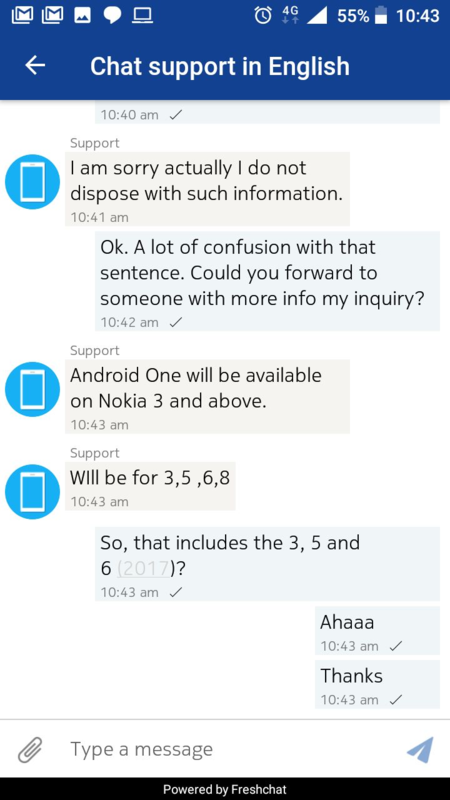 The statement from Nokia Support is false. HMD on this year’s MWC announced a closer relationship with Google, that included the Nokia 1 – HMD’s first Android Go smartphone, and the new Nokia 6, 7 plus and 8 Sirocco that are a part of the Android One program. Android One is Google’s program for Android manufacturers that offer a simple UI and selected preinstalled apps, or as it is popular to say – “Android as Google have imagined it”. Phones that are part of the Android One program have a 2 year guarantee of Android and security updates, and Google already confirmed Android P for HMD’s 2018 lineup of Android One devices. HMD mentioned at yesterday’s press conference that all Nokia devices from 3 and above will be a part of Android One program. I didn’t clearly understand what does that mean, so, after an info from Twitter (thanks! ), I asked the support team about it. They said that Android One will be available for Nokia 3, 5, 6 and 8, meaning that HMD’s 2017 lineup of devices (excluding the 2), will join Google’s Android One program. This news isn’t that significant because HMD already treats their Nokia devices very well in terms of software updates, but it is nice to have a confirmation for all those looking to buy a Nokia smartphone from 2017 that they will continue to be supported until the 2 year period expires.